The Italian classic: PESTO. It’s my favorite sauce in the cookbook. 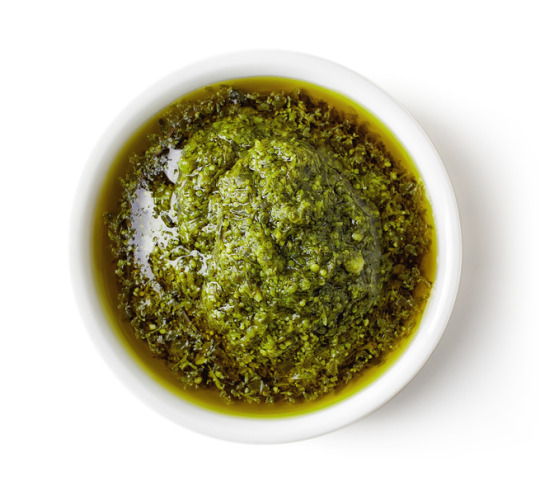 This Oregano Pesto is an exciting twist on the basil pesto we’re all familiar with. This recipe has deep, Mediterranean flavors and basically tastes delicious on anything. To begin, try it atop toast, pasta, scrambled eggs, and roasted cauliflower. 2. Lay pistachios flat on a baking sheet and toast for 5 minutes, until lightly browned. 3. In a food processor, combine the toasted pistachios, garlic, anchovy, oregano, and lemon juice. Pulse together. Add olive oil to mixture and pulse to create pesto. Season with salt and pepper. January 23, 2018 by Corinne L.